When patients hear that they “need a root canal,” most dental professionals will agree the news is met with great anxiety and fear. 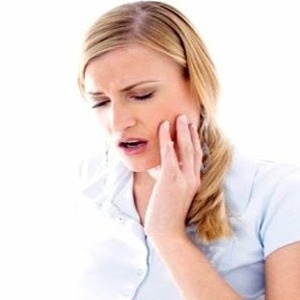 An American Association of Endodontists (AAE) survey revealed that patients who’ve experienced root canal treatment are six times more likely to describe it as painless than those who haven’t had the treatment. Root canal treatment saves more than 17 million natural teeth each year, making it more hero than villain. In fact, research shows that saving natural teeth has extensive health implications. A December 2005 study in the American Journal of Preventive Medicine found that tooth loss was associated with a greater risk of heart disease, with those who had lost the most teeth at the greatest risk. This remained the case even when other risk factors such as smoking, alcohol and obesity were taken into account. Another study, published in the November 2006 Journal of Dental Research, found a relationship between endodontic disease–which root canals treat–and coronary heart disease. All dentists share responsibility for educating patients about treatment options, particularly those that can save natural teeth. Explaining how root canal treatment eliminates pain, helps patients keep their natural teeth for a lifetime, and how an endodontist contributes value to the dental team is part of this education. In another AAE study, general dentists from around the country listed endodontists as one of their most trusted and reliable sources of information about endodontic treatment. With at least two additional years of advanced training in the specialty beyond dental school, endodontists have turned even the most complex procedures into routine treatment. Advanced training and new technologies have allowed endodontists to revolutionize root canal treatment. Endodontists have transformed a procedure that once was completed with the naked eye and standard dental instruments, into a truly microsurgical process. For more information about Root Canal Awareness Week please visit www.rootcanalspecialists.org. Diablo Valley Endodontic Specialists were the first in our area to have the on-site ability to take 3-D images of patients’ teeth. Cone Beam Computed Tomography (CBCT) allows us to identify and treat disease and anatomy not detectable with traditional x-rays, resulting in more thorough and precise treatment. Since 1995 we have provided unsurpassed treatment to patients and unparalleled service to our partner dentists. To learn more please visit www.diablovalleyendo.com/. Categories: Patient Care | Permalink.